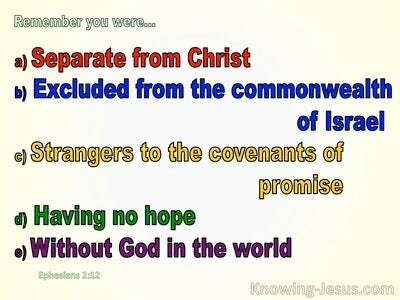 What Does 2 Corinthians 5:21 Mean? God in His grace reached out His arm of peace to man, through the gift of His only begotten Son, so that through the shedding of His blood on Calvary's tree, Christ would take all the punishment for sin we deserve. 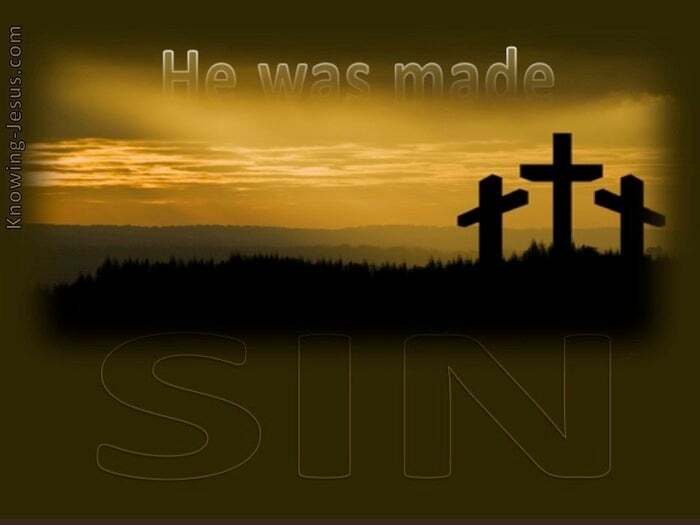 God in His mercy stooped down to humanity, so that through the death of the sinless Lord Jesus, as the offering on a wooden cross, sinful man could be forgiven forever and eternally clothed forever in His glorious righteousness. God in His love clothed Himself in mortal flesh, so that through the surrender of the unblemished Lamb of God on the altar of sacrifice, we could be fully identified with Him - becoming the righteousness of God in Him and being declared holy in the sight of God - adopted as His children, and made joint heirs with Christ. The eternal and holy Son of God became the pure and perfect Son of Man Who after a life of humiliation and sorrow, where He was despised and rejected of men, was slaughtered on a cursed tree, with His final words pleading, Father forgive," and all fallen man has to do is to say - "I believe," with a heart that has turned from sin. 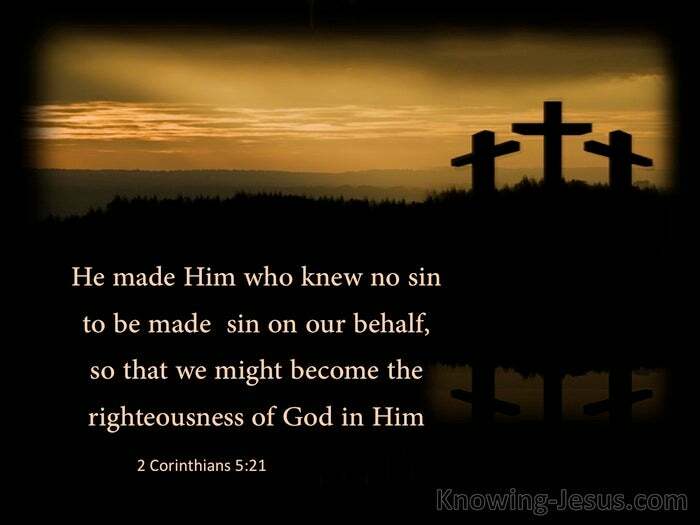 Our sinless Saviour was made sin on our account. 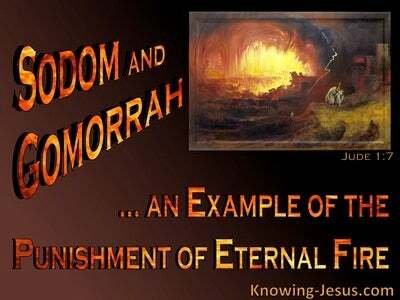 The eternal Son of God bore the accumulated sins of the whole world upon Himself. 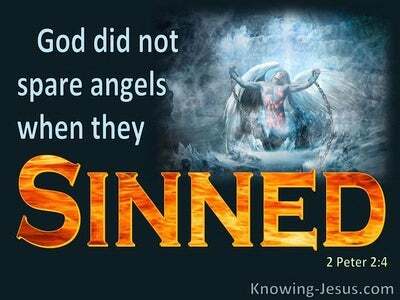 The Lord Jesus identified with our sinfulness and shame so that we could be identified with His glory and righteousness, simply by believing on the only begotten Son of the most high God. What wonderful condescension, what amazing grace, what profound wisdom, what a depth of love - what a testimony to the terrible gravity of sin. Father, dear Father God, I can scarce take in the depth of love You have for me, a sinner who deserves nothing but condemnation. 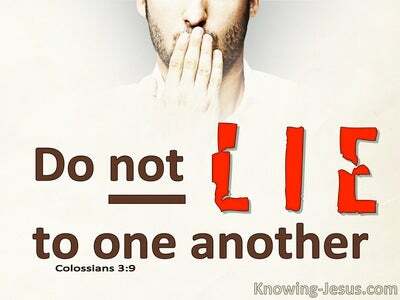 I praise You for Your grace and love and wisdom and mercy towards me – so that through Christ there is no condemnation for those that believe in the Lord Jesus as saviour “I believe.” Thank You Father in Jesus' name, AMEN.